Global investment in fintech has tripled in the past year. Industry experts reckon that it’s a sign that it’s starting to take off in the business sector. With the number of eCommerce transactions soaring, this technology is set to help businesses grow at a faster rate while taking a larger share of the market segment. And unsurprisingly, it looks as though it’s going to change the business landscape forever. Fintech is a word that has been formed from ‘financial’ and ‘technology’ because it is a combination of just that. It describes the use of technology to deliver financial products and services to consumers. It’s not a new concept but it is becoming more popular as people are increasingly using smartphone and tablet devices to shop and bank online. Why is it Growing so Fast? Fintech is growing quickly because it’s allowing businesses to expand their capabilities from multiple viewpoints through the use of electronic invoicing and open API’s. This finance solution is enabling companies to operate optimally at a manageable scale. What Does it Mean for Startups and Small Business Owners? Well, to put it simply, it means that it will be easier to access business funding as well as the ability to process payments globally. A common problem that many startups face is the ability to secure loans and investment, but fintech eases the process because all of a firm’s accounts are digitised. This allows bankers to see a startup’s potential, increasing the likelihood of it securing funds. In addition, another problem is being able to accept payments globally. Before fintech, small companies would have to seek the approval of at least one major credit card company that allowed them to accept payments from around the world. However, with fintech this is not the case. Innovative payment solutions like PayPal and Stripe make international payments a whole lot simpler, expanding retailers’ marketplaces. How is it Changing the Retail Landscape? 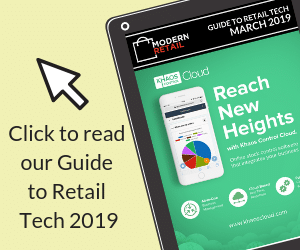 Fintech is benefiting UK fashion retailers like Topshop, Miss Selfridge and ASOS as technology allows customers to ”buy now and pay later” – a huge selling point. Not only that, the fintech firm will even contact the customer for payment on behalf of the retailer, saving them time and money. Since the above retailers partnered with the Swedish fintech firm, Klarna, online sales have surged. It’s clear that flexible finance solutions give consumers more choice and businesses more sales. What does this Mean for the UK Economy? According to a global fintech survey by the London Stock Exchange Group, UK-based financial technology firms expect to see a growth of 88 per cent over the next three years. This prediction is impressive, although not surprising, as the UK’s fintech sector already contributes around £6.6billion to the economy each year. How Will it Shape the Future? Cash is no longer king in the eyes of a growing number of firms. In fact, many retailers prefer to receive payments through apps and mobile wallets because the transaction is more straightforward. Fintech and payment expert Peter de Wit says ”that in order to understand retail payments, it’s good to understand what challenges retailers are facing at the moment.” Many shoppers use their smartphones to look for deals and check reviews, so it’s already very much part of the customer experience. Peter thinks a multi-functional app is the way forward because it would allow a retailer to identify a customer instore and allow them to tailor the shopping experience to the individual’s needs. What’s more, this method will reduce fraud because the payment authentication could be based on bio-metrical recognition. So, a quick scan of your finger or eye would show that it’s you making the purchase. There’s no doubt that fintech will help enterprises to increase both sustainability and scalability in a number of ways. Logistics, cash flow and supply chain management will all be improved, as will the retailer and customer experience. Rob Gamage is Managing Editor of Modern Retail. Combining many years of experience in publishing with a keen interest in small business and entrepreneurialism, Rob is passionate about sharing interesting and inspiring content with retailers to help them grow.